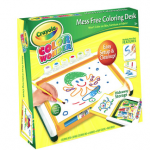 Posted on June 3, 2015 September 21, 2018 by Sue M. by Sue M.
This week’s featured travel toy is Crayola’s Mess-Free Coloring Desk, which will provide your little ones with hours of travel-friendly and mess-free art projects. 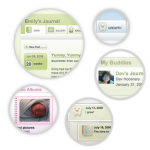 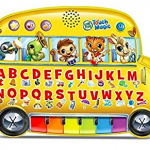 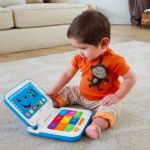 Posted on May 27, 2015 September 21, 2018 by Sue M. by Sue M.
Posted on May 20, 2015 September 21, 2018 by Sue M. by Sue M.
LeapFrog’s Touch Magic Learning Bus (currently available on Amazon.com for under $20, with free shipping for Prime members) is a musical learning toy for children ages 2 and older. 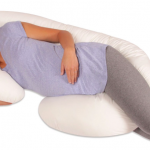 Posted on May 13, 2015 September 21, 2018 by Sue M. by Sue M.
Posted on May 6, 2015 September 21, 2018 by Sue M. by Sue M.
Leachco’s Snoogle Total Body Pillow is the top-selling body pillow on Amazon, thanks to its ergonomically designed comfort and support for moms-to be.